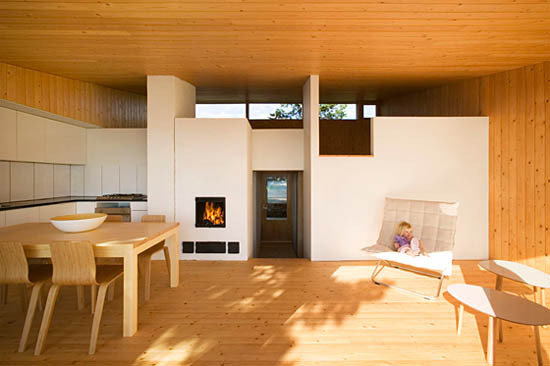 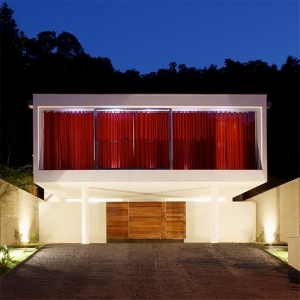 Villa Mecklin has mainly been a self-build project and the materials used are uncontrived, basic ones suited for the archipelago. 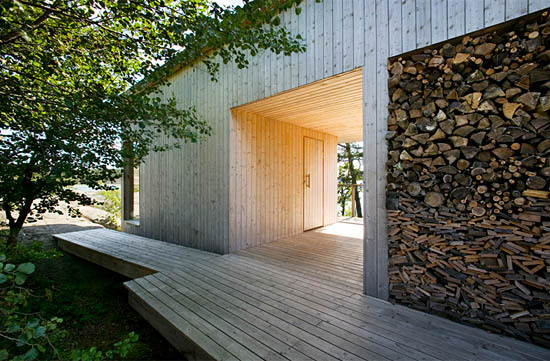 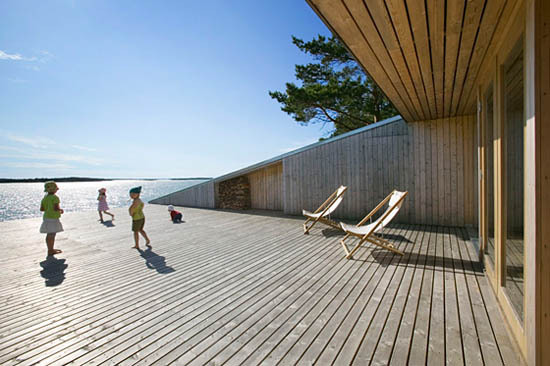 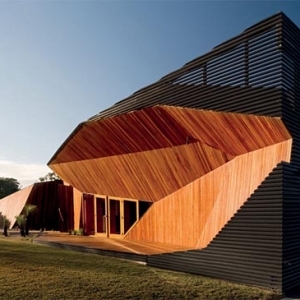 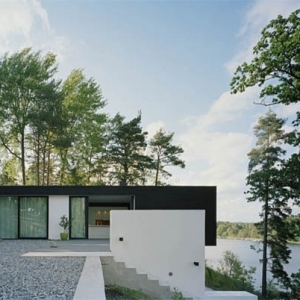 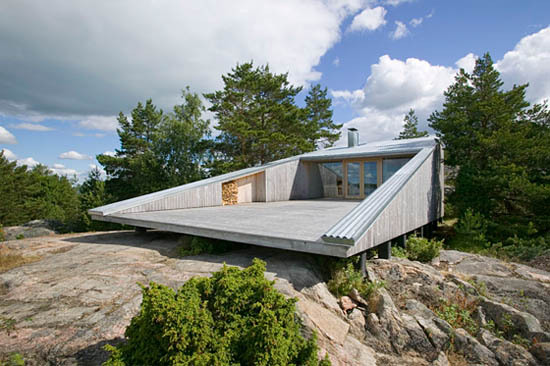 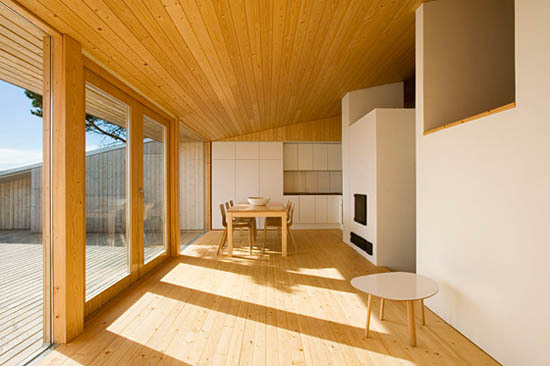 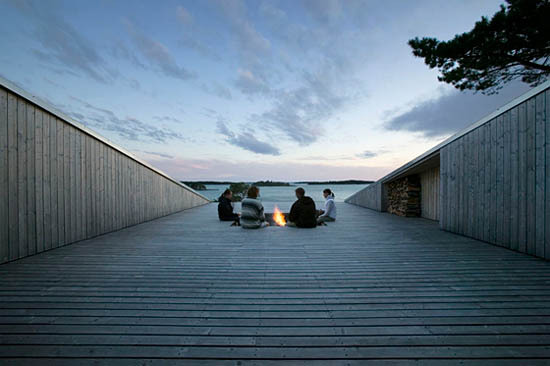 Villa Mecklin is located in the Finnish archipelago. 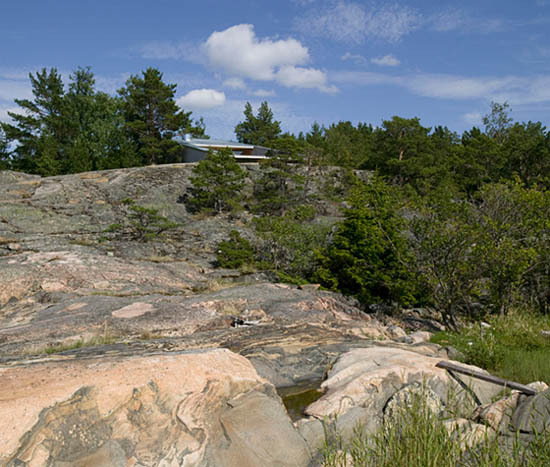 It sits in a small depressions in the rock, its sheltered terrace extending over the summit of the rock. 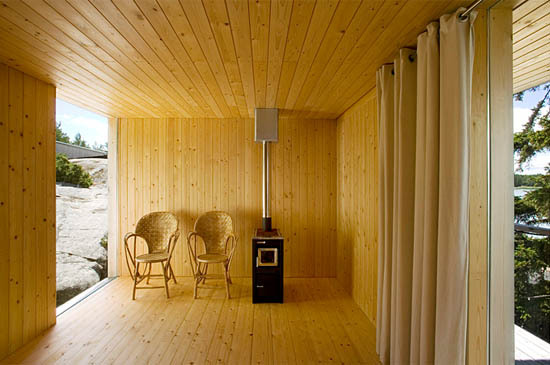 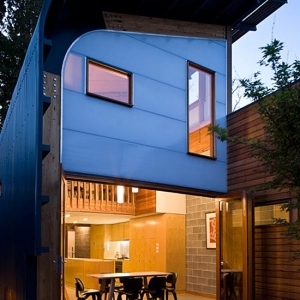 In connection with the shoreline sauna, there is also a stove-heated cabin for guests.